If you keep up with the news as I do, you’re likely to have moments when you feel discouraged about the human enterprise on this earth. More and more often I find myself turning off the news and looking for stories about the activities of organizations like e-NABLE. This great volunteer organization focuses on creating 3D printed prosthetic hands for those who would otherwise not be able to afford them, is transformative in so many ways and at so many levels. It transforms the lives of recipients . . . but it also transforms the lives of makers, offering a way for them to participate directly in improving the lives of others. Another kind of story that inspires me is about 3D printed animal prosthetic limbs. Whether making devices for humans or animals, caring people have devoted countless hours to making the lives of our fellow creatures better. There is a growing movement of innovators designing 3D printed animal prosthetics for injured animals around the world. Good people who want to “pay it forward” are everywhere, in these cases from a number of locations in the U.S. to Taiwan to Costa Rica to British Columbia. Here are links to inspiring stories of animals whose lives changed dramatically through 3D printed animal prosthetics — and of the people who made those changes happen. Any time I get discouraged, I like to read one of these stories. Augie from North Carolina: a splint for a sea turtle. Bubbles from the U.S.: a wheelchair for a dog. Beauty from Alaska: a beak for a bald eagle. Branco from South Brazil: back wheels for a dog. 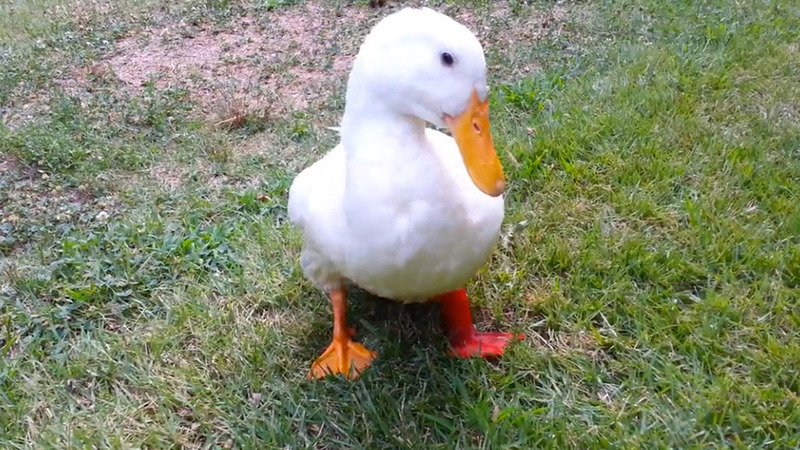 Buttercup from Tennessee: a leg for a duck. Cleopatra from Colorado: shell for a turtle. Cyrano from North Carolina: a knee joint for a cat. Derby from Rock Hill, South Carolina: legs for a dog. Dudley from Sicamous, British Columbia: a leg for a duck. Felix from Woodstock Farm Sanctuary, New York: a leg up for a sheep. 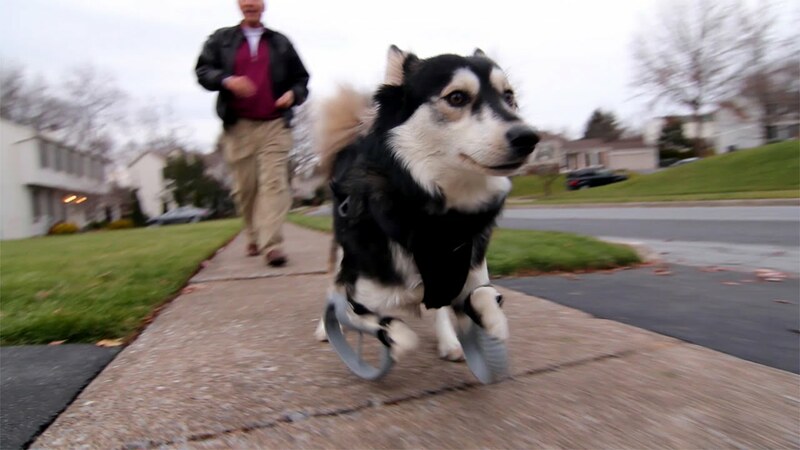 Freddy from Manhattan: a wheelchair for a dog. Grecia from Costa Rica: a beak for a toucan. Holly from Melbourne, Australia: horseshoes for Holly. Jack from Tucson, Arizona: paws for a dog. Oreo from Winnipeg, Canada: a knee cap for a dog. Quack Quack from Taiwan: a leg for a duck. Rylee the Rescue Dog from St. Louis, Missouri: a paw. Stumpy from Savannah, Georgia: a leg for a box turtle. Suzy from Animal Orthocare (the folks who helped Derby), Chantilly, Virginia: new wheels for a dog – custom canine cart. TurboRoo from Indianapolis, Indiana: a chariot for a chihuahua. Animal lovers and animal rights activists will be happy to know that 3D printing technology may replace drug testing on animals within five years by printing human stem cells. Vet Consultants in Telemedicine suggest several applications for 3D printing in veterinary medicine including in the areas of orthopedics, vascular surgery and radiology, oncology and implants and surgical instruments. So the next time you want to remember that people are capable of great love and caring acts, turn off the news and revisit some of these stories about 3D printed prosthetics for animals, the people who do it and how it helps our animal friends.